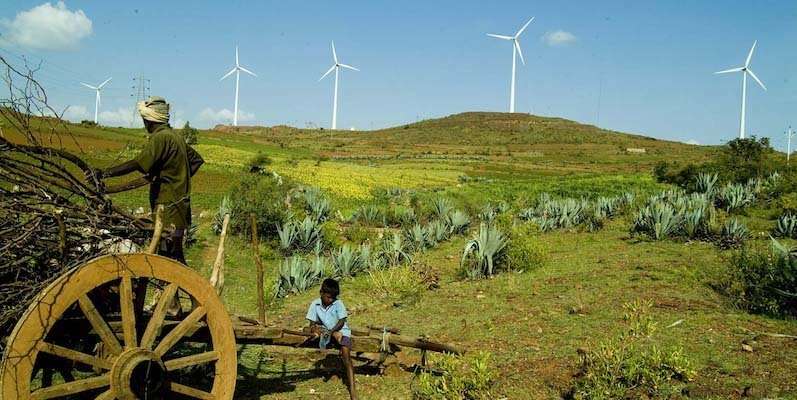 India, the third largest emitter of greenhouse gases behind China and the United States, is investing billions in wind power and has set the ambitious goal to double its wind power capacity in the next five years. The majority of wind turbines are being built in southern and western India to best capture the winds of the summer Indian monsoon, the seasonal weather pattern then brings heavy rains and winds to the Indian subcontinent. "We found that although India is investing heavily in wind power to tackle climate change and air pollution issues, the benefits of these substantial investments are vulnerable to the changing climate," said Meng Gao, a postdoctoral fellow at SEAS and the Harvard China Project and first author of the study. "Our findings can provide suggestions on where to build more wind turbines to minimize the influences of climate change," said Michael B. McElroy, the Gilbert Butler Professor of Environmental Studies and senior author of the study. This is nonsense. The problem with wind power is that the energy returned minus energy invested is often negative for the manufacture and maintenance service life of the system. The only thing that makes them economical is the relatively low cost of cheap oil and the initial tax incentives that act as dual subsidies. After that, the blades, motors and batteries get very expensive to repair or replace. At best, wind power is saving cheap oil for later. Solar has much better EROEI. Just ask Mother Nature. One problem. Generally climate change doesn't warm the ocean. In fact the reverse is true. Short wave radiation (light) from the sun penetrates the ocean directly and that heat drives the climate system. If you don't believe me get a pot of water and see if you can raise it's temperature from above with a hair dryer or a heat gun. Then try applying heat to the side of the pot. There's a boundary layer.Heat moves predominantly from the ocean to the atmosphere. Not the other way around.